What's near Norwood Gardens Apartments! Norwood, MA is a classic New England town with a charm and history all its own. Norwood features a town square, quaint shops and hometown friendliness. Living in this bustling suburban community offers easy access to Routes 128, 24, I-95, I-495, the MA Turnpike and the commuter rail to Boston and Providence. Boston is only a 35-minute commute. 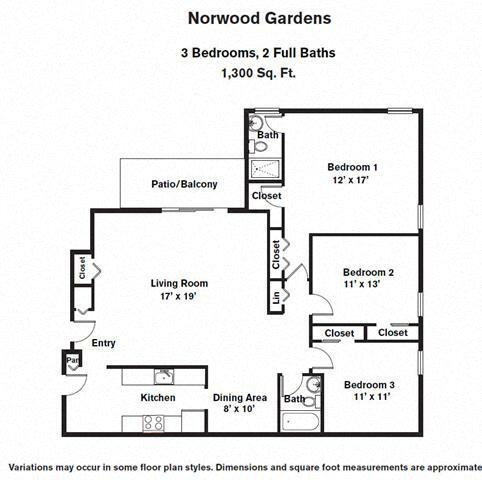 The Norwood Gardens grounds are in a cozy, residential area of Norwood. 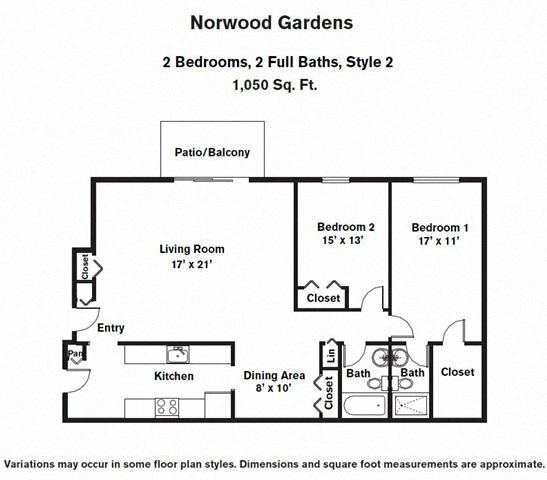 A nearby commuter rail, however, ensures that our Norwood MA apartment residents are never too far from the cities of Boston and Providence. For drivers, Routes 1 and 1A run through Norwood, and I-95 and I-495 are nearby. 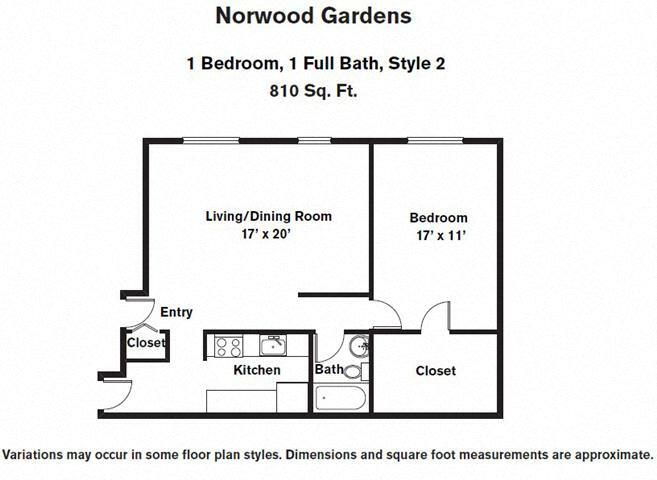 That's not to downplay the considerable business and community of Norwood itself, which is a fantastic, locally driven part of famous Norfolk county, and a great alternative to the high cost and stress of in-city living. Amenities include an outdoor swimming pool, tennis courts, picnic area, and wonderfully maintained grounds. The "Gardens" in our name is apparent in the beautiful and meticulously landscaped grounds, which make walking around our apartment community a pleasant and relaxing experience. 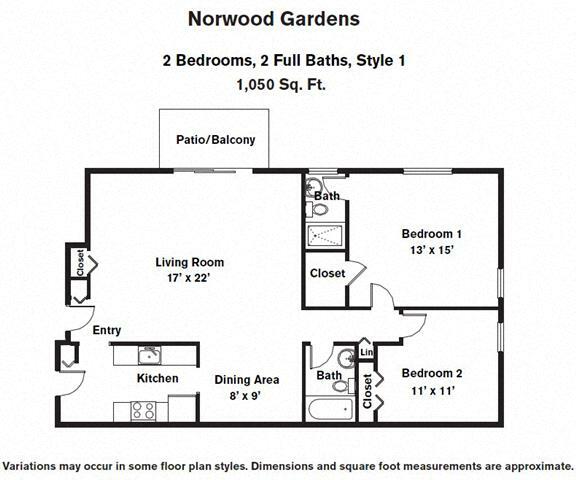 If you've been looking for apartments for rent in Norwood, MA; there's no better choice than Norwood Gardens. 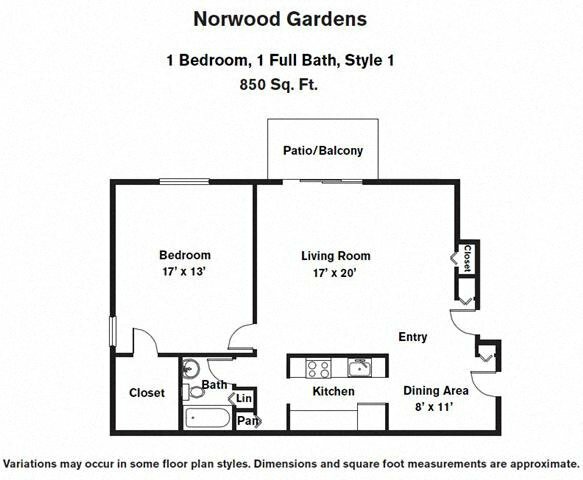 Every part of your home at Norwood Gardens is convenient and accommodating, from the amenities to the spacious and updated look and feel of each apartment. Rent can be paid online, and we confidently offer a 30 day move in guarantee to help ease your transition into your new home. Start living today--look through this site, and schedule a visit to Norwood Gardens.